Run Forever will be showing in store at our very first movie night on January 18th 2017. We hope you can join us for this very special evening. 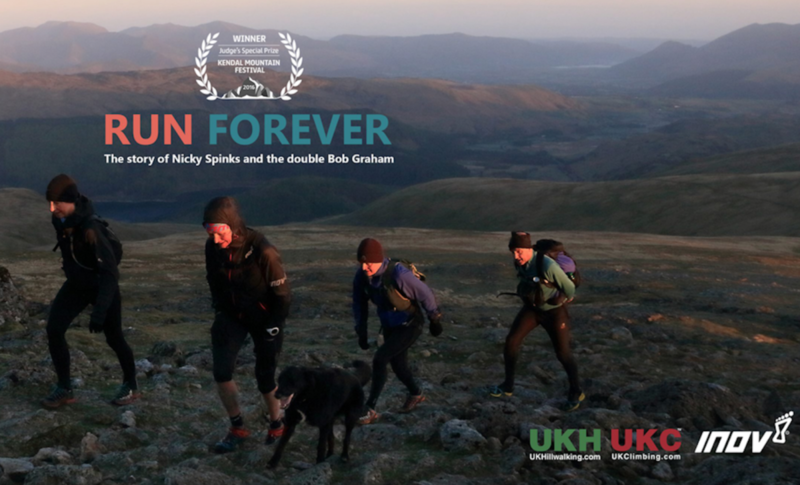 In May 2016 Nicky Spinks set out to become the first woman in history to complete the Double Bob Graham Round, a 132 mile fell run over England’s highest peaks that includes 54,000 feet of ascent. Nicky achieved her goal and completed the challenge in less than 48 hours. Her finish time shaved an hour off the overall record, which had set in 1979. RUN FOREVER tells the story of this inspirational runner and cancer survivor, and documents her incredible achievement. We are lucky to have permission to show this award-winning film and to have Nicky as a guest on the night. We are joined on the night by Nicky’s kit sponsor, Inov-8. There will be a Q&A with Nicky and the brand after the screening. On top of all that, we’ll have some fantastic prizes to be won through a charity raffle. This event is not one not to be missed, whether you’re a runner or not. RUN FOREVER premiered at the Kendal Mountain Festival in November and won the Judge’s Special Prize. Entry is free and by ticketed admission only. We will be raising money on the night in support of Nicky’s chosen charity, Odyssey. Odyssey delivers life changing programmes for adults with cancer. http://www.odyssey.org.uk/ and donations will be welcome. The evening was a success and everyone really enjoyed seeing the film and meeting Nicky Spinks and the Inov-8 team. You can read about it here. Run Forever is available to watch on YouTube and we highly recommend it.